Episode 4: Our Journey to Entrepreneurship! In Episode 4, we (DeVera and Alex) each share our "origin stories" - the stories of how we've gone from being fully ingrained and reliant on our 9-5 jobs to starting our own business! It's been a roundabout journey for each of us, and it took a LONG time to build the confidence in ourselves, the faith in our abilities, and the courage to take the risk of striking out on our own! 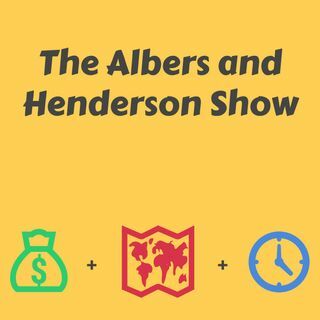 Visit us at https://www.albersandhenderson.com to learn more and sign up for a free copy of ... Maggiori informazioni our Top 50 Affirmations! !